IGAC's structure consists of its parent organizations, Future Earth and iCACGP (a commission of IAMAS-IUGG), the IGAC SSC, and the IGAC Offices. However, the true IGAC community is the approximately 1,500 scientists, students, policy makers, stakeholders, and general public from across six continents that make up the IGAC community. 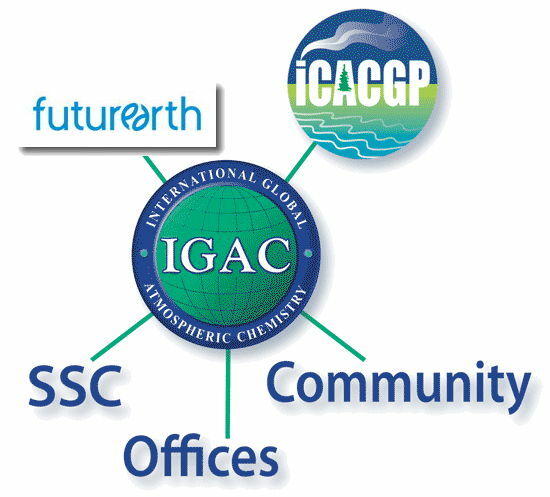 It is this international community that gives IGAC its unique ability to truly function without borders and to facilitate atmospheric chemistry research towards a sustainable world.